Fortnite is one of the most popular games in the industry at the moment, and definitely, the most successful Battle Royal, surpassing even its arch-rival PUBG with over 200 million registered players. That leaves only League of Legends (abbreviated LoL) at the top of the charts and deservedly so for LoL, since it was one of the earliest MOBA games and has been around for close to a decade with a loyal fan base. Epic Games, the creators of Fortnite, has garnered the attention of multiple investors and we could potentially see a steeper rise in player base in the foreseeable future. Today, every gamer worth his salt and aiming to become a pro-gamer is looking up tips and tricks from online forums and learning by watching live streams of pro players. 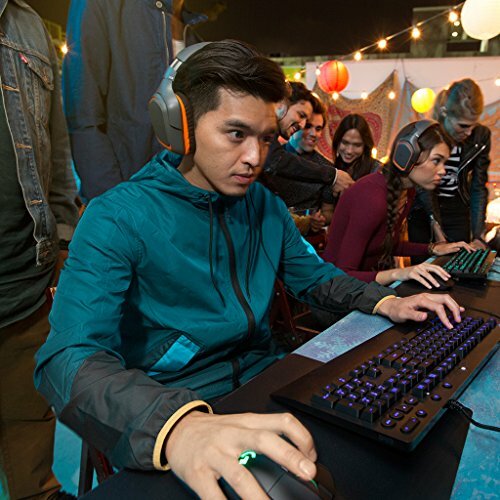 Besides putting in a lot of of time into perfecting their skills, a lot of these gamers use cutting-edge gaming gear and pro settings to enhance their skill. Are you a Left/Right handed gamer? Do you need help in finding the right one? We are here to help you. 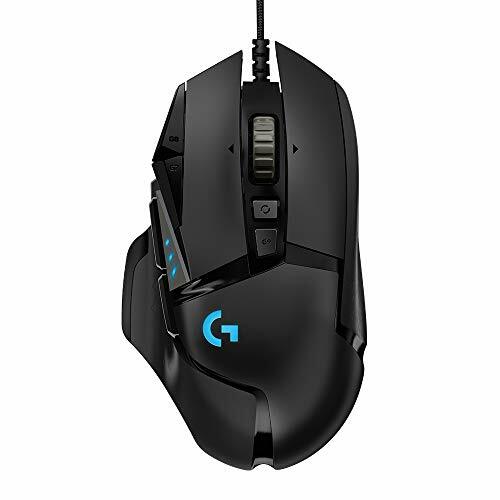 Starting things off, we’re going to look at probably the most popular gaming mouse for Fortnite, the Logitech G502 HERO High Performance Gaming Mouse. The G502 has become synonymous with the BR title because of its abundant amount of buttons that come in handy when binding all the different keybinds needed for lightning-fast building. The mouse became especially popular when Ninja – arguably the biggest Fortnite player and streamer in general – started using it. Since then he’s been switching between different models of mice but he keeps on going back to his trusty G502. 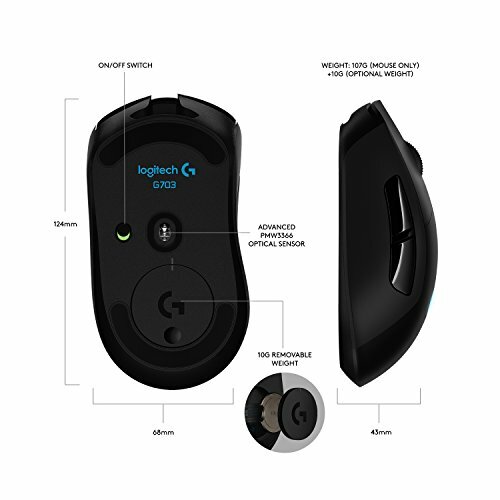 The mouse has a whopping 11 programmable buttons, is equipped with the PMW3366 – Logitech’s top of the line sensor; has a 1000 HZ USB polling rate, and can go up to 16,000 DPI. The size is slightly bigger and is suited for gamers with medium to large hands, depending on the type of grip. Regarding its weight, this mouse is definitely on the heavy side, coming in at around 120 grams without the extra weights you can add. Players that don’t mind the weight and want to utilize the 11 programmable buttons for faster building and weapon switching. The iconic shape of the DeathAdder has been a fan favorite for more than a decade, with several versions being released in the meantime. The newest addition to the Razer DeathAdder family is the Elite. The new version comes with a new softer cable, an updated USB, Razers mechanical Omron switches, and arguably one of the most precise optical sensors ever made – the PMW 3389-T3QU, which is up there with the PMW3366. To the delight of previous DeathAdder owners, Razer kept the shape of the classic, but if you’re not familiar with it, this is a very comfortable right-handed mouse. The shape is outward angled and with finger grooves that additionally improve the feel of the mouse. Using the proprietary Synapse software, you can rebind buttons, adjust the DPI all the way up to 16,000 and the polling rate up to 1000Hz. Also, you can play with the RGB colors and some cool lighting effects. Since its release, the Zowie EC series has been the weapon of choice for many FPS gamers, so it was only natural to see it transition to Fortnite as well. While this BR title is more inclined towards mice with multiple buttons, the EC series makes up for it with its familiar but unique shape and flawless optics. It’s a curved right-handed mouse, covered in very smooth plastic which handles sweaty hands efficiently. The main buttons are tactile and of good quality, we were very pleased with the feedback and low latency. However, they could have done a better job on the two side buttons found on the left. This is a plug-and-play mouse that does not require drivers. Settings like DPI and polling rate are controlled by the buttons located on the mouse. While this is a very desirable feature for gamers that visit LAN events, Fortnite players won’t find it as a deal breaker. It comes in two sizes, where the EC1 is meant for gamers with large hands, and the EC2 is for medium hands. Gamers that value function over style, not to say this is an ugly looking mouse, on the contrary, we like the minimalistic approach to the design, but others might want more gimmicks and RGB lights. It’s a matter of personal preference. As a successor to the popular G100s, a lot was expected from the Logitech G Pro Gaming mouse. So… is it a worthy upgrade? Absolutely! The G Pro comes with an updated thick cable that looks like it can take a beating, really premium quality. The shape is ambidextrous so this mouse is suitable for both left- and right-handed gamers, however, the extra two buttons are located on the left side. The coating is textured plastic which allows for a tight grip during long gaming sessions. The weight is around 85 grams, putting it in the category of lightweight mice. The shape is also a bit flat, without extra curves, so it’s suitable for various grips. The G pro Gaming mouse is equipped with the impeccable PMW3366 and can track anywhere from 200 to 12000 DPI. Overall a great mouse and a worthy successor. Fortnite players who are a fan of the G100s, who want a simple yet effective design. Left-handed players can also use it effectively. Get it if you’re into lightweight mice. With its newest addition, SteelSeries took the standard Rival and decided to reimagine it completely. The Rival 600 is a work of art and features some cutting-edge technology. Compared to the Rival 310 and 700, the 600 has better optics and feels better in hand. The shape resembles the 310 with improved quality, added finger grooves, and a modular weight system. It comes with 8 additional weights, each adding 4 grams. By removing the sides you can choose where you want to add weight or remove it. 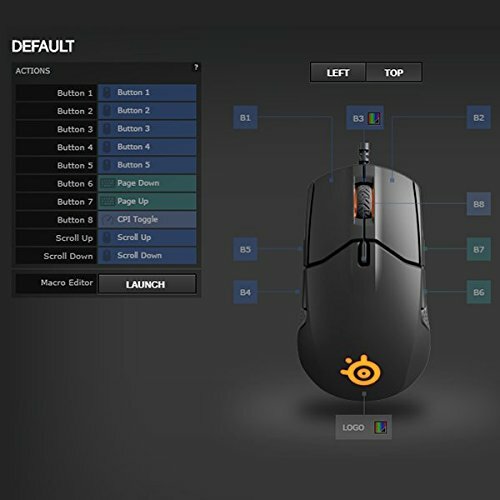 This is the most comprehensive weight customization we’ve seen in a gaming mouse and it truly allows you to balance the mouse as you please. 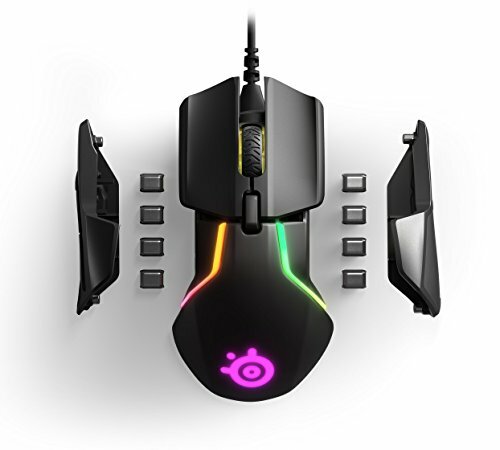 The SteelSeries Rival 600 is equipped with not one, but two sensors, each fulfilling its role. The main sensor is responsible for tracking and is a customized PixArt 3360 sensor they’re calling TrueMove 3. The second one is dedicated to measuring lift-off height, achieving tracking even on the lowest lift-off distances. Buttons are responsive and programmable. There are a total of 3 additional buttons on the side, without counting the CPI button on top. This leaves you with more than enough options for binding essential keys for Fortnite. During our testing, which involved fast strutruce building and shotgun flicking, the Rival 600 performed better than the 700, while being slightly more affordable. Players that are looking for high customization, awesome RGB lightning, and the latest sensor technology. With the release of the G403, it’s safe to say Logitech re-established themselves as the leading manufacturer of gaming mice. Ever since it hit the shelves, the G403 has been selling like crazy, and for a good reason too. There is really no downside to this mouse. The sleek design is super comfortable, the optics are flawless, and the overall build quality is superb. To this day, the g403 is one of the best representation of how well Logitech’s Omron switches are. The buttons are clicky, giving amazing feedback, and feel very nice in general. It also has two large buttons on the left side, allowing for easy and quick use in the heat of battle. 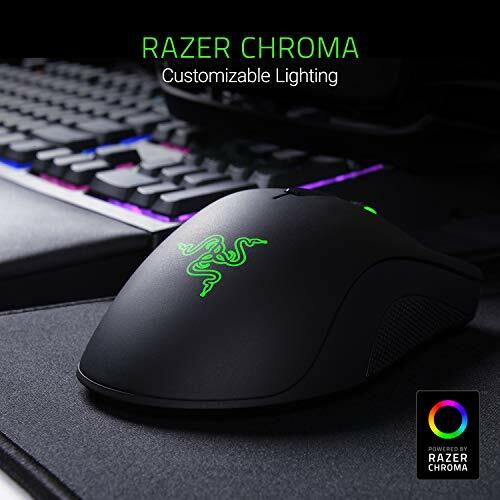 They are similar to the ones found on the Razer DeathAdder, but we found them to be harder to accidentally click and of better quality. For the price, the Logitech G403 is really hard to beat. It’s a working horse gaming that will bring you many Victory Royals without hurting your wallet. Palm grip gamers looking for the best value for money ration. The G403 is built to last and won’t let you down. It’s ideal for medium to large hands. Light to medium weight, coming in at just 90 grams. You can also add 10 grams with the additional weight. There is just one entry from HyperX on our list and that is the Pulsefire Surge. This just shows how tough the competition is when it comes to picking the best mouse for Fortnite. That being said, this model might just be it. It features an ambidextrous shape that’s not too flat but not too high either, making it suitable for both lefties and righties with different grip types. The size is a bit odd, putting it somewhere between a medium and large mouse. It’s definitely smaller than the DeathAdder, but a tiny fraction larger than the G403. The optics are amazing. It features the PixArt PMW 3389, which is the same sensor Razer puts in their latest models. Good build quality, a solid plastic coating that looks like it can handle sweat effortlessly. Side buttons are located on the left side, they’re large enough but maybe a bit too hard to press and register a click. On the bottom, there are two large mouse skates located on the front part and back. 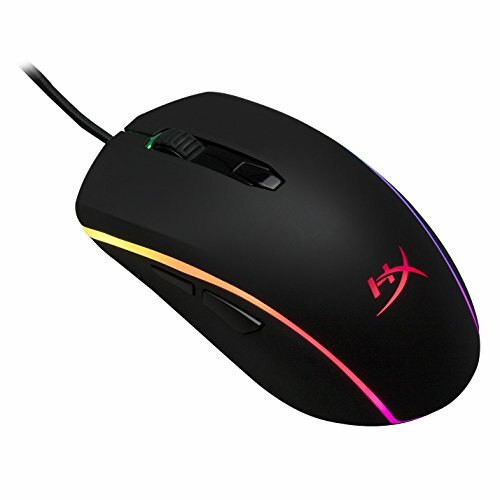 The DPI, polling rate and RGB lights are controlled through the HyperX NGenuity Software which is very user-friendly. Overall, this mouse can be a very solid choice for Fortnite thanks to its shape and flawless optics. Gamers that want a safe and simple ambidextrous shape that sort of resembles the classic SteelSeries Xai mouse from back in the day. and the rest of the Cloud 9 pro Fortnite team. Gaming without a cable used to be unimaginable, especially in a game like Fortnite where reaction time is so important and every millisecond counts. Not anymore. Logitech is calling it LIGHTSPEED, and it’s their newest wireless technology. After conducting several hours of testing both in Fortnite and other games, we came to the conclusion that there really is no downside to playing with the G703 wireless mouse, and we had no latency issues whatsoever. On top of that, the freedom of not having a cable attached to your mouse was revolutionary. The G703 utilizes the same amazing body as the G403 with a little bit of added weight because of the battery. The new Omron switches are estimated at 50 million actuations, up from 20 million on the G403. Also, if you opt to buy the PowerPlay mouse pad, you get wireless charging, allowing you to enjoy long gaming sessions without worrying about battery life. If you can afford it, the G703 might just be the top choice for farming those dubs. Players that want to experience true wireless gaming without any latency issues. Those who love everything about the G403 can get it from the G703, but wrapped in a higher quality product. SteelSeries has a tradition of making iconic ambidextrous gaming mice, going all the way back to one of their first models, the Xai. After the tremendous success of the Sensei and Sensei RAW models, we finally get a new addition that utilizes an optical sensor instead of a laser one. The Sensei 310 is a fresh take on the classic, keeping the familiar shape but adding extra rubber side grips and new buttons. There are to side buttons on each side and an additional one on the top that lets you control your DPI settings. While you can definitely utilize all of them, you can also program them or disable them entirely using the SteelSeries Engine software. The new optics are called TrueMove 3 and are a result of a collaboration with PixArt. The same main sensor found in the Rival 600 is also used in the Sensei 310, making it one of the most precise gaming mice on our list. If you palm grip your mouse while playing Fortnite and love the ambidextrous design, the Sensei 310 might just be your ticket to the Victory Royal. Players with medium to large sized hands. Fans of products from the Sensei line. Those who prefer to palm or claw grip. For those who prefer customization over everything else, the Razer Naga Trinity comes straight from modular heaven. The product ships with 3 sets of side buttons which you can switch around as you please.Each set has a different layout. You can choose between having a whopping 12, 7 in a circle formation, or the standard 2. If you prefer having all your build keybinds located on your mouse, you can pull it off easily with the Naga. Since this is not a true FPS or TPS mouse, you would expect it to have an average sensor that is good enough for MMO’s or MOBA’s. Well, you would be wrong. The Naga Trinity has the same sensor as the DeathAdder Elite, making it one of the most reliable products on the market. Actually the only downside we could think of is the weight, however, this might actually be a good thing for players who enjoy gaming with a heavy mouse. Overall, the Naga is the best modular gaming mouse we tested and is definitely worth trying out for Fortnite. Players who put their main keybinds on the mouse. Medium to large sized hands that can handle a heavy mouse. 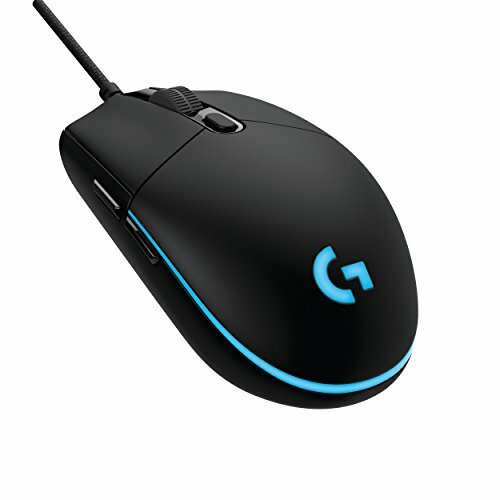 All the gaming mice we covered are top gaming peripherals and will assist you in becoming better in Fortnite, as well as other TPS and FPS games. Choosing the best one, or better said, the right one for you will come down to 5 key factors and personal preference. Size, weight, sensor, shape, and functionality all play an important role in making your decision, together with additional features that you may or may not want. Picking the right tool is not easy but we’re here to help. The size of the mouse is arguably the most important factor when figuring out what’s the best mouse for you. Pick a mouse that’s too big and you won’t be able to aim precisely enough. Going too small can also cause problems and be uncomfortable for your hand. Measure your hand and figure out if small, medium or large is best suited for you. If you have big hands, the Razer DeathAdder Elite might be a great fit. If you have small hands, opt for the Logitech G Pro. Weight can be a deal breaker for most players when selecting their weapon of choice. It is widely considered the lighter the mouse, the better, but there are players that prefer heavier gaming mice to keep their aim steady. When it comes to Fortnite specifically, we are of the opinion that lighter models have an advantage over the more heavy ones because you’re throwing your mouse all over the mousepad when building those sneaky 1×1 towers. Not to mention it’s much harder to hit shotgun flicks with a mouse that feels like a brick. A lot of models on our list are considered lightweight but also have additional weights that can be added. Most Logitech mice have this option, but the SteelSeries Rival 600 is the absolute king of weight customization. The bottom line is you want your mouse to have a reliable sensor that can track on a variety of surfaces. The PixArt 3389, 3360 and 3988 are considered the best sensors out there right now, followed by the 3310. In all honesty, we didn’t really notice any difference between these 4 sensors so any of these will be perfectly precise. The 3389 can be found in the Razer mice on our list. Logitech utilizes the 3360, while SteelSeries has there own customized version of the same sensor called TrueMove 3. The shape of the mouse is all about what’s comfortable for you. If you’re not able to test the product before you decide to buy it, consider purchasing models that have a pretty safe, ambidextrous shape like the Sensei 310 or the HyperX Pulsefire Surge. Also, if you use your left hand for the mouse, the Sensei is a great option since it has side buttons on both sides. On the other hand, you might want an ergonomic design. The DeathAdder is famously known to be very comfortable with its angled shape and additional finger grooves. Zowie is praised for its simple yet amazing shape. Make sure to figure out if you use a palm grip, fingertip grip or a claw grip. Gimmicks aside, you want a practical tool that will get you in the position to win. 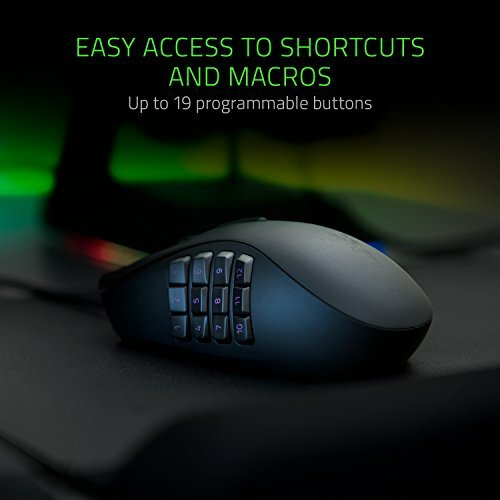 Victory Royals are not easy to obtain so you want your mouse to be as functional as possible but also have additional options like programmable buttons you can use for various key binds. The Logitech G502 Proteus Spectrum might not be the best choice for true FPS games, but definitely hits the sweet spot when it comes to a game like Fortnite. This is down to personal preference and doesn’t really affect your game. Some players like keeping it simple and prefer the minimalistic design approach. Others want multiple RGB lights and macro buttons. 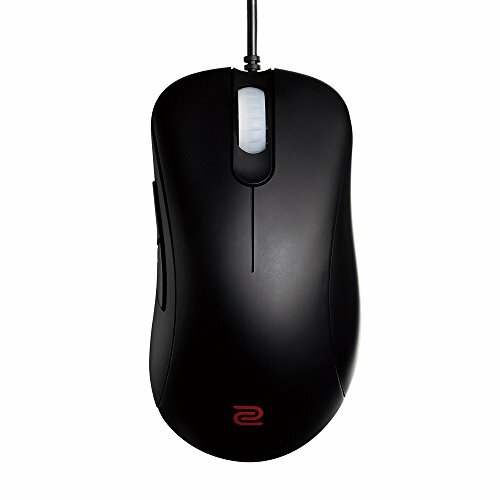 Some players want to avoid any kind of bloatware and opt for plug and play models like the Zowie EC series. Others love the additional software to precisely tune the DPI, polling rate, lift-off distance and so on. We found the Razer Synapse software to be the most user-friendly. Best mouse sensitivity for Fortnite is somewhat subjective, but as a general rule of thumb, you want to run a faster sensitivity than you would in a First-person shooter game like CS: GO. This is due to a lot of close quarters encounters that require quick 180-degree turns. Also, having a low sensitivity will hinder your building speed. That being said, you don’t want to go with a super fast sensitivity either. Looking at what the pro gamers use, 0.15 in-game sensitivity would be considered fast, while 0.04 would be considered super slow. This is, of course, considering you have the adequate DPI settings on your mouse. You can experiment with DPI but 800 is considered a sweet spot for Fortnite. Then you have ADS(aim down sights) in-game setting which determines how fast your mouse moves when you’re right-clicking with a non-scoped weapon. Our advice would be to set this to 0.50 and then work your way up from there until you find what feels right. When you’re happy with your ADS sensitivity, set your Scoped sensitivity just a little bit higher and you should be golden. You made your choice and dialed in the best mouse settings for Fortnite. You’re armed and ready to secure the dub. Epic Games have re-released their popular Playground mode so make sure to practice and make small adjustments on the way before getting into a real match. Don’t forget to leave us a comment which gaming mouse you purchased and how many Victory Royals you’ve gotten since. See you ingame.